I was telling a friend I was going to make Tahini shortbread cookies to use up the tahini I had leftover from the Tahini Walnut Rolls (recipe here). She asked if it was dairy free, because she’d like to make shortbread, but was avoiding dairy. The original recipe wasn’t, but I thought I’d give it a try with just tahini. And then because I Iove coconut, I thought I’d do the same thing with coconut oil. So both of these are dairy free. 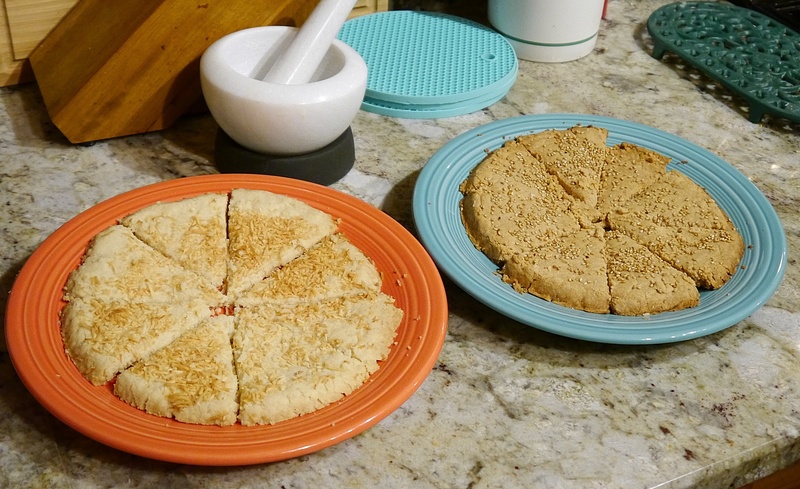 The original recipe for Shortbread is here.